In the 2017-2018 school year, the Scottish Government introduced Scottish National Standardised Assessment (SNSA) at Primary 1, Primary 4, Primary 7 and Secondary 3. The government’s information sheet for parents can be found here. The tests are tablet based and Primary 1 children are required to sit one test in literacy and one in numeracy. Each is supposed to take about 40 minutes but in practice they often take longer. 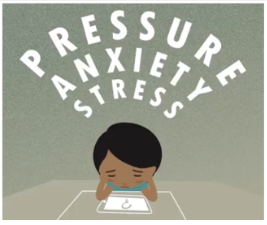 Upstart’s reasons for campaigning against the use of SNSA tests at such a young age are given in our document Play Not Tests for P1 and summarised in the short video on About the Campaign. In early August 2018 there was a media outcry when a Freedom of Information question to the Scottish government revealed the extent of teachers’ anger, distress and frustration about the tests. Reports appeared in the Herald, Scotsman, Telegraph, Daily Record, Times Educational Supplement (Scotland), Sunday Times, Scotland on Sunday (which also included a leader article (‘Experts know the best age for children to start school’). and many more. The story was covered by BBC Scotland and STV, and Lesley Riddoch wrote a powerful column in the Scotsman, urging government to rethink its approach to early years education. The Scottish government responded that it would be reviewing all the SNSA tests for the next round of testing in school year 2018-19 and that the process should be ‘fun’ for young children (reported in the Herald). But the controversy continued, not least because of great confusion at government level over the right of parents to opt their children out of the tests – press coverage of this is included in our September newsletter. Media interest in the topic mounted when all the opposition parties called on the government to drop the P1 SNSA and a parliamentary vote was tabled for 19th September. In the run up to the vote a letter to the National from the highly-respected Professor Brian Boyd summed up the feelings of many in the educational world. Upstart particularly enjoyed two pieces in Bella Caledonia during this period, a review of the political controversy by James McEnaney and a lovely piece about Angelic Upstarts by Mike Small. On 17-9-18, Common Space gave Upstart the chance to state our position before the question went to Parliament. A debate was held in Parliament on 19-9-18 (see the televised broadcast here) and the motion to halt the P1 tests was passed by 63 votes to 61. This was, of course, widely reported in the press, e.g. the Herald. However, the Scottish Government immediately announced its intention to continue with P1 testing, thus ignoring the will of the Scottish Parliament. Since then, councillors in several local authorities have started investigating whether they can boycott the tests, greatly annoying the government and unleashing fierce debates in council chambers, as these reports from Glasgow and Fife illustrate. 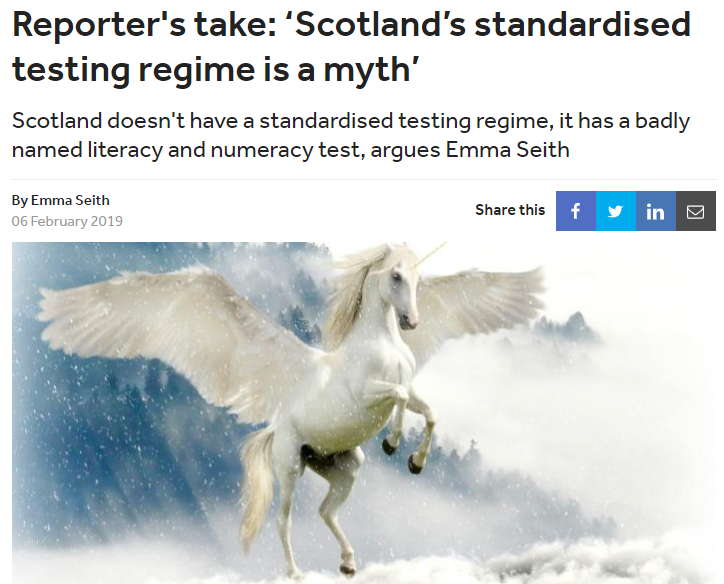 Although Fife has voted for a boycott, they intend to use alternative tests in 2019 – Upstart agrees with EIS in the TES Scotland that this rather defeats the point. It seems the pursuit of children’s best interests has been completely lost in all the political wrangling. Presumably, the government hoped this would kick the controversy into the long grass for a while; but it continued to crop up in the media. 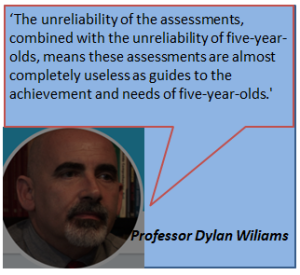 On 7-1-19, the Scotsman summarised all the evidence to be presented to the Education and Skills Committee during January (useful if you don’t want to plough through all 100 pages.) 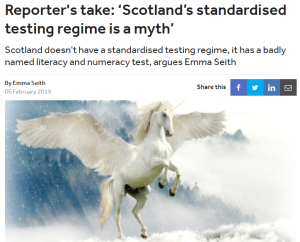 Then, as the Committee met for the first time, the Herald revealed that the Scottish Government was misrepresenting top academics by saying they support P1 testing when they don’t (first revelation on 9-1-19, second on 10-9-19). The five meetings of the Education and Skills Committee’s review of SNSA were broadcast and recordings can be found in the Scottish Parliament TV archive. The Chair of Upstart gave evidence on 30-1-19 and followed up with a piece in the TESS; other critics of SNSA appeared on 6-2-19, James McEnany who also wrote on the subject in TESS. A piece by Emma Seith summed up the general atmosphere of confusion and unreality. When the Committee’s final report is published it should be available here. Sue Palmer is due to present evidence to Professor Reedy of the P1 SNSA Independent Review on 27th January. And so it goes on. In the meantime, schools have been instructed to administer the tests to another cohort of five-year-olds in 2019.